Happy Friday sweeties! Britt Bass here from Pink Paper Crowns. 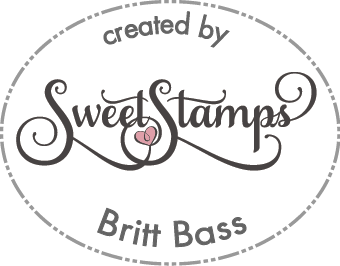 I'm dropping in today to show you a SUPER cute SNEAK PEAK of a new image from Sweet Stamps! 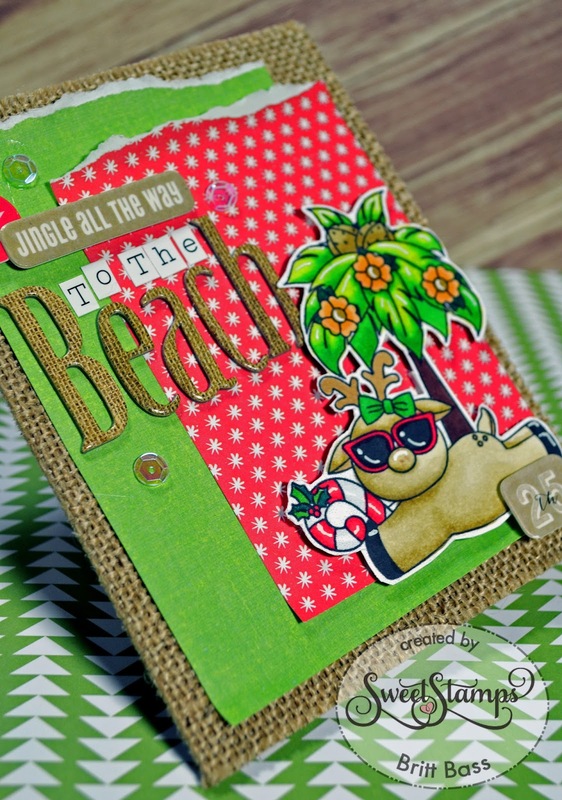 What I love about these images is that they give you the option to make some holiday projects that reflect how people from warmer climates might celebrate Christmas! 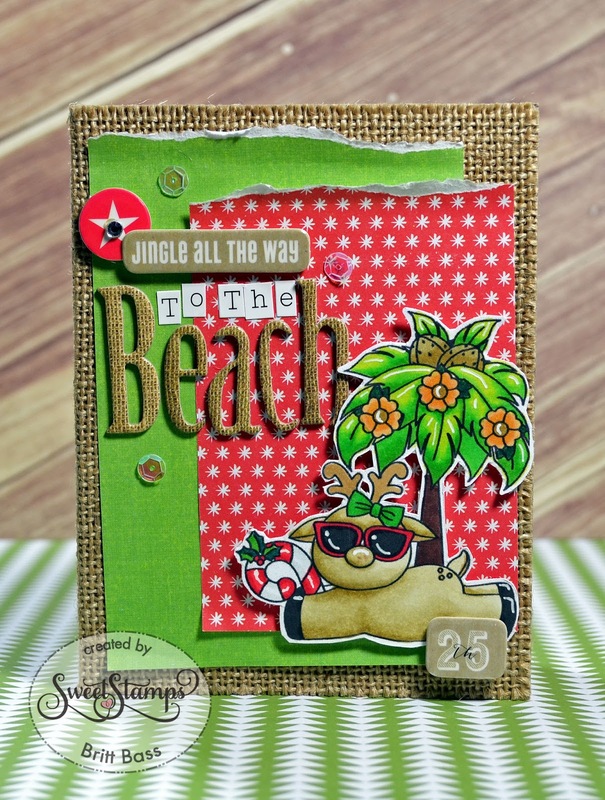 I love, love, LOVE these cute, beach bum reindeer! This lady is sunning herself under a breezy palm tree with her candy cane and a pair of sunnies! Take a look! I first printed and colored the image with my Spectrum Noir alcohol markers and added highlights to the image with a white gel pen. I fussy cut the image from the paper and set it aside. I cut two panels of holiday scrapbooking papers from the DCWV "Christmas Wishes" 4x6 mat pad from 2014. I tore the tops of each of the panels and layered them on a burlap cardbase - also from DCWV. I used a sentiment and star embellishment as the inspiration for my whole sentiment. 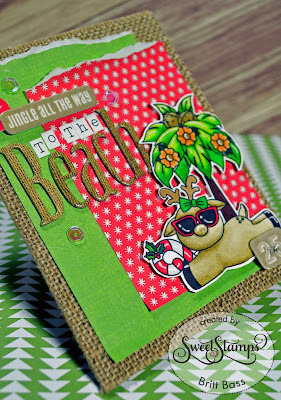 I added the "to the Beach" with a mix of tiny type stickers and burlap printed letters from my stash. I adhered three transparent sequins around my sentiment and attached my sweet reindeer image with pop dots. I finished the card with another chipboard embellishment that reads "the 25th". 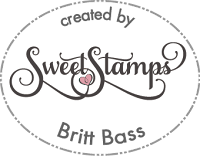 Don't forget to go over to the Sweet Stamps' Store and get yourself a little something!! Cute design, makes me wish that I was at the beach. Love the torn layers and the burlap.